This article will elaborate a bit about Content Delivery Networks or CDN. You will find information about what constitutes a CDN and how it can speed up content retrieval. Content Delivery Networks (CDN) is sometimes also referred to as Content Distribution Networks. It can be defined as dedicated collections of servers located on the internet which attempt to offload work from origin servers by delivering content on their behalf. In order to get better understanding of this definition, you will be provided a picture which represents an example of CDN. This entry was posted in Miscellaneous, Technical Notes and tagged web on April 29, 2010 by Tech Admin. For Java developers, Eclipse is a convenient tool to develop software in broad range of programming languages. This tip is intended to help fellow developers who never use Eclipse before but are eager to start developing applications using Eclipse IDE. This entry was posted in Java, Technical Notes and tagged Eclipse on April 21, 2010 by Tech Admin. Since its inception, frequent readers or random visitors of this blog may come into conclusion that this blog talks a lot about PHP-related topics. This is somewhat true since at the time the blog was firstly launched, I had dealt with mostly applications built under W/LAMP environment. Even though I also fiddled with applications developed without any PHP codes, the scarcity of hands-on experiences under such circumstances avoided me sharing experimental results, hacks, software components, or even simply a technical note. As the time progressed and I got involved again in academia, Java started to take some portion of my development time-table. Several years ago, I used Java to build some simple stand-alone desktop applications. 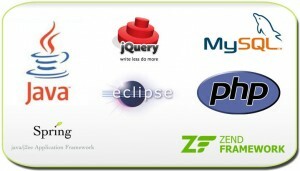 As for web application, the PHP advocates were successful to send me to the PHP island. It is the simplicity of PHP and my first impression to the slowness of a Java-based web application which prevented me from delving more into the Java world. Fortunately, there were situations which forced me to use Java in my work and some other scientific experiments. These initially-undesirable situations then turned into a phase of Java re-learning for me. But at the time, I already had had better systemic understanding and ability to look at the bigger picture. The phase of relearning gave me better insight and understanding about application design and to bigger extent, the system design. I feel very ecstatic about expanding the topics of this blog to also include some Java posts. It can be a subject of lesser interests for you. However, I believe that being open to changes will bring other positive impact. As a technology blog which has been around and settled for more than three years, it is time for this blog to move forward. It is the time to broaden the user base without abandoning old users. Now get yourself ready for more good stuff to read. So, please stay tune! This entry was posted in Miscellaneous on April 21, 2010 by Tech Admin. In this article, you will be exposed to the installation of Sun Java in Fedora Linux. 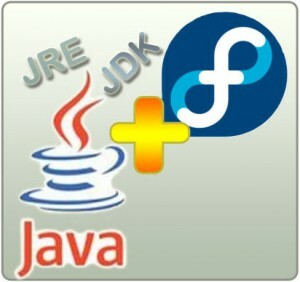 Although Java has been installed by default in every fresh Fedora package, the Java version shipped along with the OS package is the open-source version GNU Java instead. Some applications and frameworks may require Sun Java. Due to licensing issues, however, Sun Java can not be bundled with the default Fedora Linux package and should be installed separately. Although the installation steps in this article can also be reproducible in other Linux distributions, there is no guarantee that steps advised in this article will also work for other Linux distributions. The installation of Sun Java in a Fedora Linux box can be seamlessly easy. Yet, some people especially those with minimum technical experience on *NIX OSes may face difficulties in completing the installation. This article tries to provide a comprehensive guide for the installation. It provides whole steps to be followed along with corresponding snapshots so that one can accomplish the installation successfully. It also shares some useful tips which may help readers in understanding the environment they are working on better. 1. Installation will be conducted through the console prompt. 2. User conducts the installation using root account. 3. The software yum must have been already installed in the box. 4. The software wget is already installed in the box. Tip: if wget is not installed yet, run command yum install wget from the console and the software will be immediately installed. 5. Fedora version used is Fedora 8.0 or newer. Note: in legacy Fedora, there is different path in installing the compatibility libraries. You can check jpackage site for more information. This entry was posted in Java, Linux, Technical Notes and tagged Fedora on April 13, 2010 by Tech Admin.